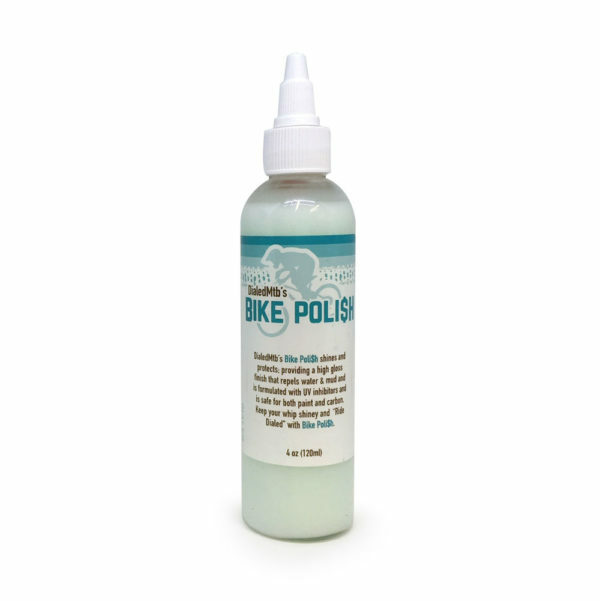 A polished bike stays cleaner longer and keeps it looking fast. The custom labels have been great marketing for our shop! 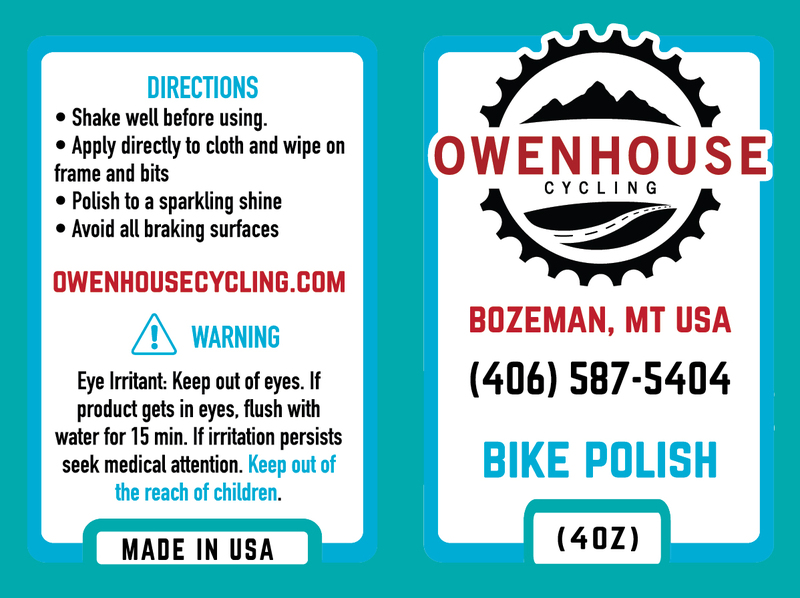 Your bike, but shinier! 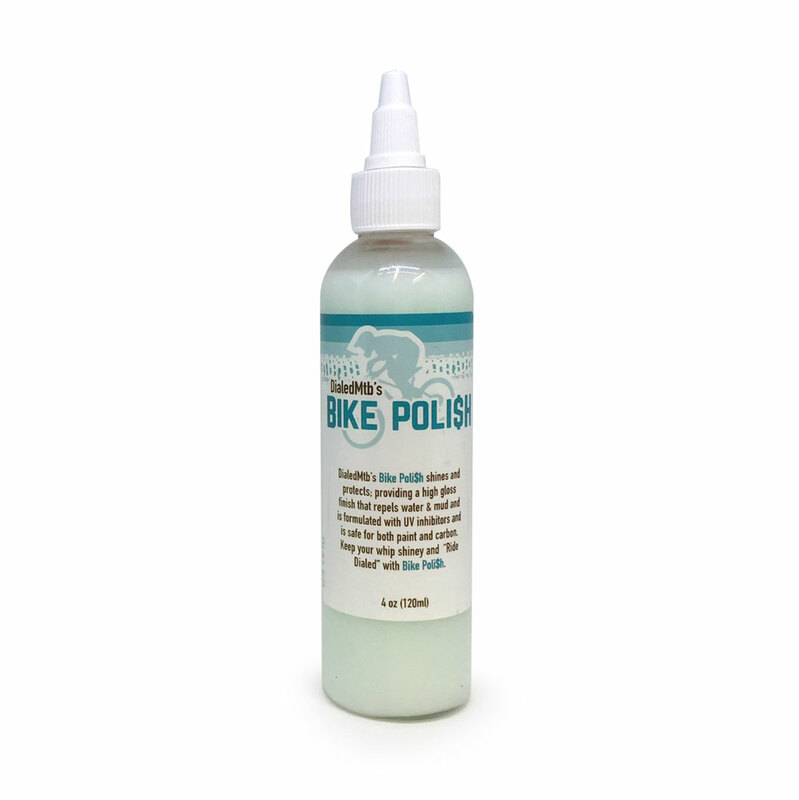 This polish works well to make your bike look great and make it easier to clean the next time because the dirt won’t stick to it as much. 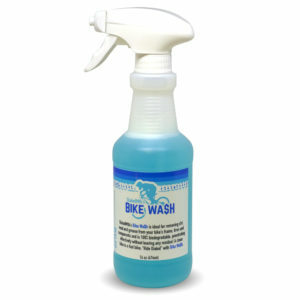 Who doesn’t like when their bike looks great and is protected from dirt and grime to boot? This bike polish is SO easy to use, goes a long way, and the custom labeling is hard to beat. 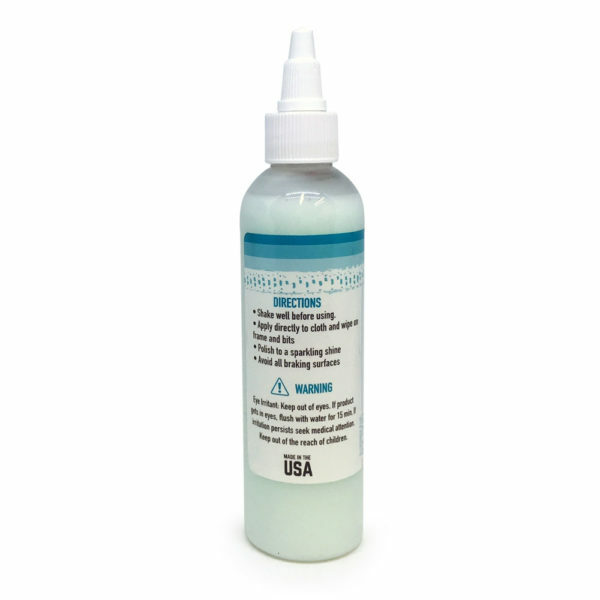 This stuff now has a permanent place in my cleaning kit.